From Val Vista and Ray Rd head west on Ray to S. Concord St. and turn left (North). S. Concord St will curve to the right. Then turn right on to Jasper Drive. Home is at the bend on the left side. Hello, I’m interested in 1182 E JASPER Drive and would like to take a look around. 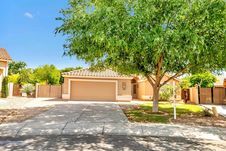 The details on 1182 E JASPER Drive: This house located in Lindsay Ranch, Gilbert, AZ 85296 is currently for sale for $334,900. 1182 E JASPER Drive is a 1,868 square foot house with 3 beds and 2 baths that has been on Estately for 3 days. 1182 E JASPER Drive is in the Lindsay Ranch neighborhood of Gilbert and has a WalkScore® of 27, making it car-dependent. This house is in the attendance area of Mesquite Elementary School, South Valley Jr. High School, and Campo Verde High School. Listing Courtesy of: ARMLS and Perfect Choice Real Estate.